We know the Olympics is all about which countries are competing in which events, and which country’s team won gold for gymnastics, but the most exciting part for us as designers is the branding and logo applications. That’s why we’ve compiled all the logos from each city bidding to host the 2020 Olympics, the good, the bad… and the downright confusing. To symbolize Japan, Tokyo chose the image of sakura or cherry blossom, due to their cultural and historical significance. 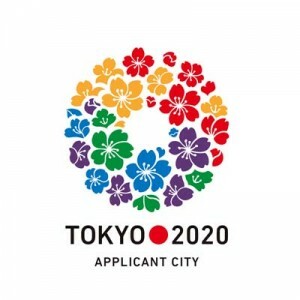 However in this application, the cherry blossoms look more like hibiscus due to the unfamiliar color palate not traditionally associated with cherry blossoms or Japan. The typeface and type lockup, however, are wonderful. Perhaps Tokyo would have had better luck if they had taken a page from Yusaku Kamekura’s book and simplified their design. The subject or inspiration for this logo is unclear, as is the actual year the logo was designed for. 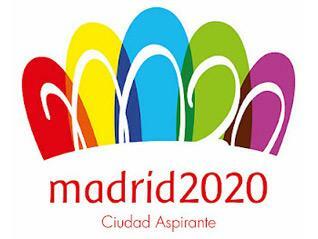 Instead of reading “2020” this logo reads “20020”, the result of a poor revision of the initial design by 22 year old Luis Peiret. The logo should read “M20”. In our opinion, this is the least successful logo of the bunch. Ok, this design is probably the most aesthetically pleasing design out of all of them. That said, there is one major issue: it has absolutely nothing to do with the Olympics, whatsoever. We get that the committees are given a little leeway with the design, but this could just as easily be a logo for Istanbul tourism. The logo is not a logo it is a logotype, as there is no mark associated with it. The color scheme probably stems from the turquoise blue of Istanbul’s water, and the minuscule ‘i’ beginning the word probably alludes to technology and modernism. 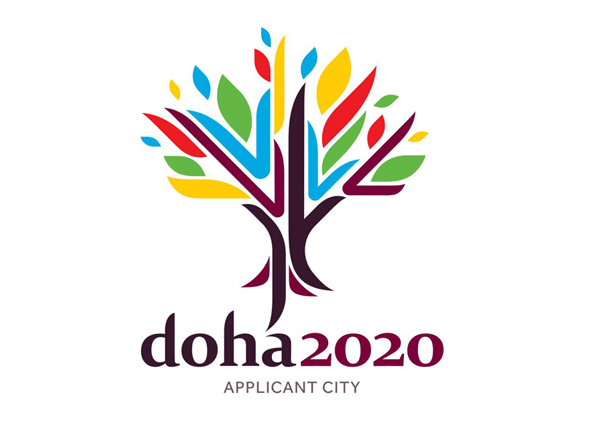 The arabic word for Doha – ‘ad-dawha’ – tranlates to ‘The nurturing tree’, so Doha aptly chose an image of a tree to symbolize their city. The stylization of the tree alludes to traditional Arabic calligraphy in the tapering of the ends of the forms and the use of short smaller strokes to form a complete image. In our opinion, this is the most successful logo because the design sensibility directly correlates with the spirit and history of the city. Baku tried. They really did, the overlapping numbers are a cool idea, in theory, but this logo is remarkably similar to the Windows logo. Maybe it’s the color scheme, or the typeface, or the shape and orientation, but this logo seems highly unoriginal and uninspired. 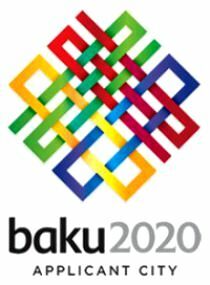 It also says very little about Baku as a city. This logo is neither here nor there. There is a lesson to be learned here: simpler is always better, and if you can find a unique aspect of your company or brand that no one else shares, try to find a way to successfully implement that through design. 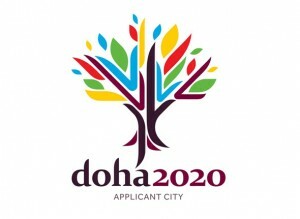 In this case, Doha let their Middle Eastern roots and their city’s history shine through a logo that expressed them honestly and effectively. May the best logo win!